The Pew Research Center’s 2015 Teens, Social Media, and Technology Overview pegs the number of teens (aged 13 to 17) going online daily at 92%, with 24% admitting to going online “almost constantly.” Proof that technology and connectivity are becoming increasingly integral to teenagers. In this article, we will discuss four ways to prevent your teenage driver from texting and driving. Teens understand the dangers of texting while driving but still engage in it. Point out that “texting while driving” is not limited to actual texting while driving. Phone usage for whatever reason, whether to tweet, make a call, or snap photos, also falls within the “texting while driving” umbrella. Hammer in the consequences of distracted driving. Forget about sounding like a broken record. Rein in your irritation the moment your teenage driver starts rolling their eyes when explaining the dangers. If you are conducting parent-taught driver’s ed lessons, this is an excellent subject to discuss. Easier said than done. Mobile phone addiction is a real phenomenon, and teenagers are more likely than other age groups to develop a mobile phone or social media addiction. Mobile apps bring instant gratification, which can be addicting. Mobile phones have, essentially, rewired people's brains. That said, your teenager will have to proactively shun all cell phone usage while driving, unless absolutely necessary. Put the cell phone on silent mode. Keep it out of reach by placing it in the backseat or inside the glove compartment. Commit to never touch that phone unless needed. Practice commentary driving to stay focused on the road. Make sure that you don’t text & drive, as it sets a bad example. In short, confiscating your teen’s phone may cause an emotional rift between parent and child. Instead, install safe driving apps to curb your teen driver’s urge to use her phone while driving. Cell Control is one such app. 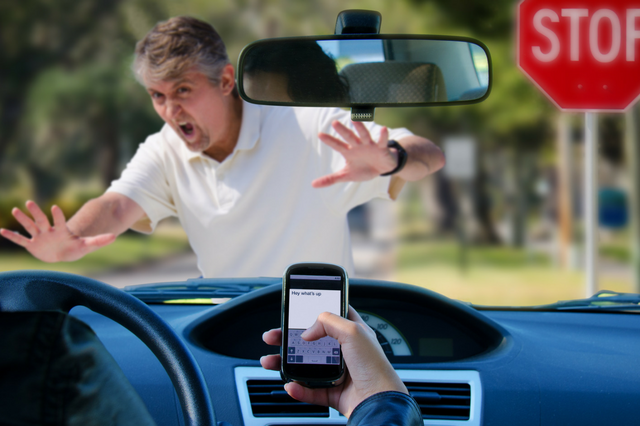 Not only does it help prevent distracted driving by disabling your teen driver’s ability to text, browse social media, take pictures, or play mobile games while they drive, it also monitors the teen’s route and driving activities/violations, including speeding, harsh braking and cornering, and any attempt to disable the app. Cell Control is motion-activated - meaning, as soon as the vehicle starts moving, it kicks into gear without human intervention. Get also the best driving tips and resources on our website. 4) Use smart driving technology. An example is SMARTwheel, which is a steering wheel cover that you can install in your teen's car. It uses sensing and gesture recognition technology to alert drivers of common distracted driving behavior, encouraging them to correct the behavior in real time. When driving, teens, and smartphones are a dangerous combination. Educate your teen and implement any of the suggestions above to get them to stop texting while driving. If you need to enroll your teen in a driving school for a Colorado driver’s ed program, Western Slope Driving Institute has branches in Parker and Denver. For questions related to distracted driving, give us a call, and we will be more than happy to help.